Kingdom Hearts fans who own a PlayStation VR will be getting a free treat this holiday season called Kingdom Hearts: VR Experience. This ten minute interactive video will allow fans to “relive some of their favorite memories from the storied franchise,” according to Square Enix Senior PR Manager Emoly Shoji’s PlayStation blog post. The timing of this release will help fuel fans’ anticipation for Kingdom Hearts III, which will be coming out January 29, 2019 for the PlayStation 4 and Xbox One. The team is withholding further details on the Kingdom Hearts: VR Experience‘s content to avoid spoiling the experience for players. It’ll be interesting to see if it will serve as a narrative primer for the upcoming game. 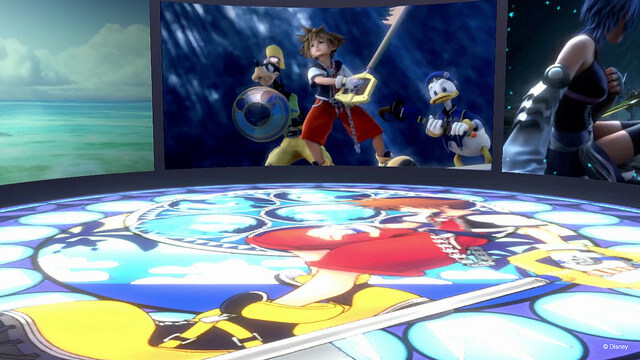 As far as gameplay goes, Kingdom Hearts: VR Experience will allow you to interact with the world (to some degree). While the details are still under wraps, Shoji confirmed, “You will also be able to unlock new content as you keep playing!” While the experience is only ten minutes long, it could have additional replay value. But with such a small baseline, don’t expect a full VR game. Kingdom Hearts: VR Experience will let fans get a taste of the franchise in VR, rather than a full meal. Will you be downloading Kingdom Hearts: VR Experience when it becomes available for free on the PSVR this holiday season? Let us know in the comments.